CALL PROGRESS TONE GENERATOR SOFTWARE GENERATES ARBITRARY MULTI-FREQUENCY TONES WITH UP TO 4 SIMULTANEOUS FREQUENCIES. CPRGs' primary use is the generation of telephony signals tones such as reorder, busy, dial tone, ring-back, permanent off-hook, DTMF, MF, etc. ADT CPTG is measured on the above Platforms: See specification tables below. Tone Generation is included in many of our Voice Solutions/Platforms including: VoIP Engine (AnVoice, LnxVoice, iVoIPVoice), & ARM devices. 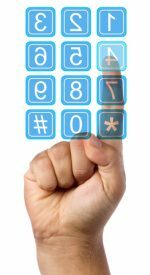 Adaptive Digital’s Call Progress Tone Generator (CPTG) software generates telephony call progress tones such as reorder, dial-tone, etc. The call progress tone generator has applications in switching, PBX, and Voice-Over-Data equipment.